Window Glass Replacement - Atlanta, Ga.
Home / Window Replacement / Why Low-E Coating is an Important Factor When Shopping for Window Glass Replacement? Why Low-E Coating is an Important Factor When Shopping for Window Glass Replacement? 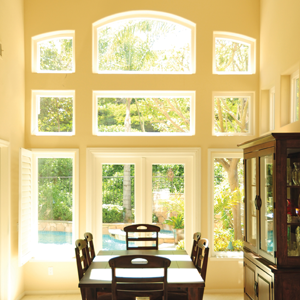 When it comes to saving energy and keeping your home more comfortable, the right glass package will accomplish the task. Simonton Windows offers a variety of optional glass packages that combine the most effective features and advanced designs to achieve truly impressive year-round thermal performance and energy savings. Window’s and door’s should meet the region specificications & ENERGY STAR guidelines. Click on the link above to get more detailed information on our region. Learn how to choose the right glass package for window glass replacement in your home and begin to reap the benefits of an ultra energy-efficient window’s and door’s. Simonton offers glass packages with these four basic components: the glass, the gas, the spacer and the glass panes. Low E coatings reflect infrared light keeping heat inside in the winter and outside in the summer. It can also reduce fading of carpet, artwork and photos by helping block damaging ultraviolet rays. Solar Heat Gain Coefficient is the fraction of incident solar radiation admitted through a window, both directly transmitted and that is absorbed and re-radiated inward. The lower a window’s solar heat gain coefficient, the less solar heat it transmits. Light to Solar Gain is the ratio between the window’s Solar Heat Gain Coefficient (SHGC) and its visible light transmittance (VLT) rating.